It’s always important to be mindful of your dental health when choosing what to eat. Regularly choosing very sugary or acidic foods can be bad for your teeth long term. If you’re currently undergoing teeth realignment treatment with a traditional fixed brace, unfortunately you’ll have even more food considerations to keep in mind. Very chewy or sticky food can easily get stuck in between the brackets of your braces, and these can be hard to to remove. It’s also important to be wary of very hard foods, as these are known to cause damage to brackets or brace wires. The good news here is that with a little creativity you can make some deliciously festive treats that are 100% guilt free. Here are five fantastic recipes we’ve collected from around the web. These ‘candy canes’ are super festive, quick to prepare, made up of delicious fruit and perfectly soft for brace wearers. What could be better?! Sometimes it’s all about the presentation! 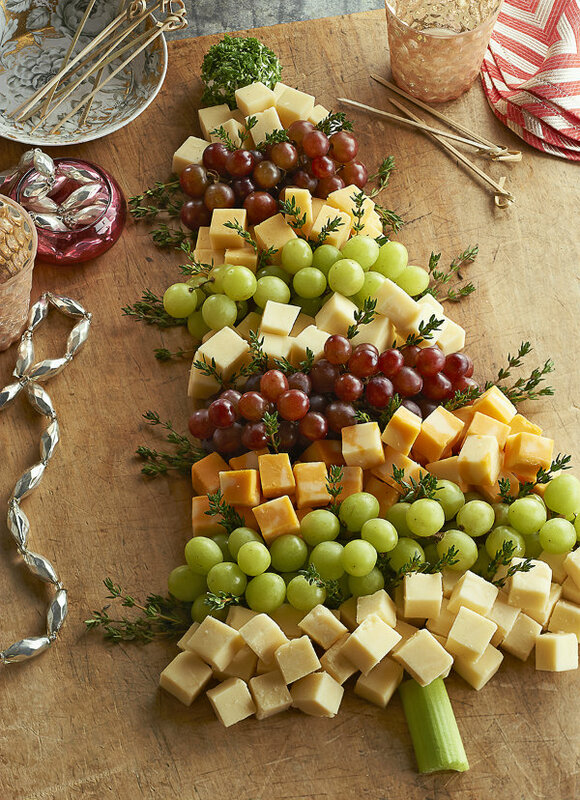 This is a fantastic way to add a bit of magic to your Christmas cheeseboard with healthy, natural treats. We love the sound of this health, protein packed smoothie. It’s filled with good stuff and tastes wonderfully festive. We love how the littlest touches can make a big difference; like these santa hats made from strawberries! Though candy canes themselves are definitely on the naughty list when it comes to brace-apppropriate festive foods, these candy cane smoothies are a deliciously guilt-free treat. We’d love to share more brace-friendly recipes and advice with you. Why not sign up to our newsletter to be kept up to date?